This is Sally, my Psychedelic Yoga Snail. I made her in a graduate school class that was all about ‘Play.’ I named her after the professor, Sally Bailey. 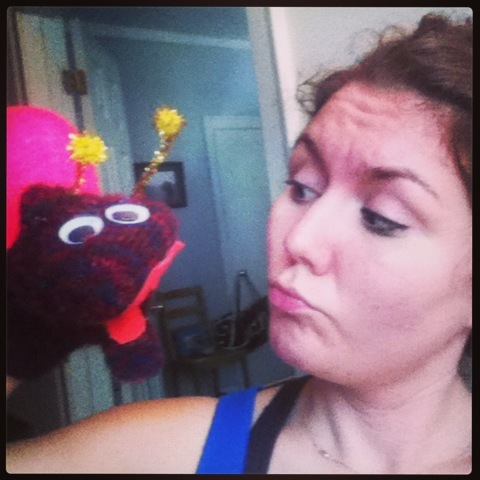 Sally, the snail, was made from an old pink mitten and hot pink tights. Their slime is used as protection. Sometimes snails eat each other. 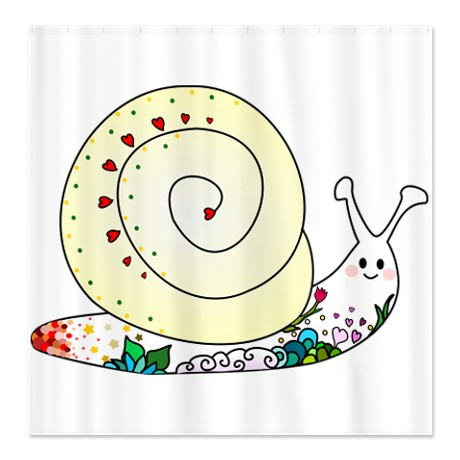 Snails have been around for about 600 million years. Snails’ relatives are the octopus and the clam. Snail pose is basically balasana/childs pose with your index fingers as snail eyes on top your head. For the older yogis, halasana/plow pose can make a great snail. Namaste. My little light bows to your little light.